Deb Flick was born and raised in Southeast Kansas on the family farm along with 3 brothers. Rural water came to her home when she was around 8 years old and with it came change for her and her family. No more hauling and worrying about the water level in the cistern. Her education came from Labette County High School, Coffeyville Community College, Kansas State University and The American Institute of Banking. This included business, office and banking degrees. She took the banking career in 1977 which included consumer and residential lending, first time homebuyers education and being a certified VA /FHA and Conventional lending underwriter. 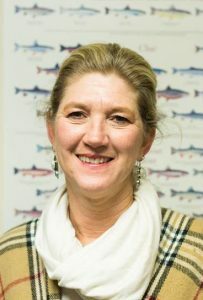 In 1997 she left the banking arena to help her husband, John, as his bookkeeper for Duranglers Flies and Supplies and to attend to her two growing children at the time. She became involved in the 9-R school district and served at the school level and district level on the district accountability committees, she also worked for 9-R in the student nutrition office at the administration building for several years. She served a time as the home buyer education coordinator for the Regional Housing Alliance/La Plata Homes Funds and currently continues to do the books for Duranglers and Garrhs Heating and Cooling. With my experience in the community on many levels since 1985 I feel I have a lot to offer our community and this awesome project we have before us. Educating and keeping people informed is very important to me and am excited to be serving on a very important community project that will only improve our quality of life, but for our future, our children’s future and their children.